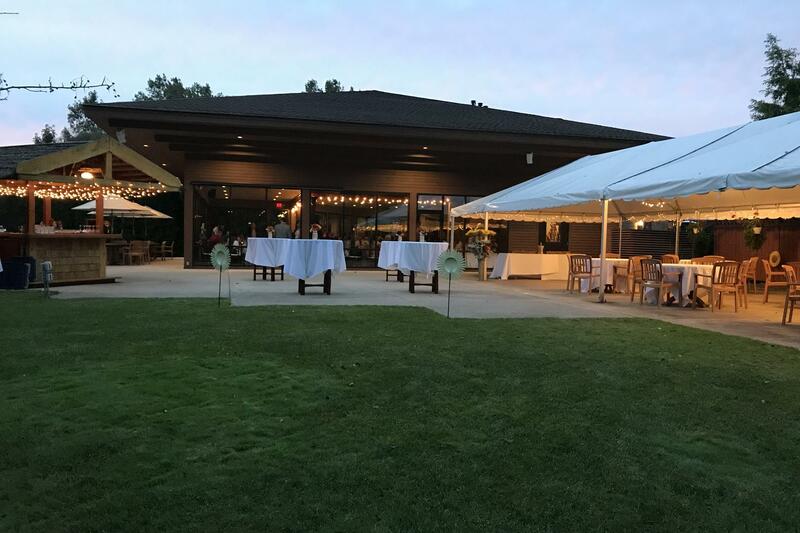 Rent Stonebridge Golf Club | Corporate Events | Wedding Locations, Event Spaces and Party Venues. The unique event space, with breathtaking floor to ceiling windows offers a large indoor bar, outdoor patio with tent and tiki bar. The banquet team has won awards for superior food & service making Stonebridge the perfect choice for corporate events, meetings, weddings, showers & golf outings. Stonebridge Golf Club is a public golf course and banquet facility. Guests enjoy the natural lighting, outdoor view and option to mix and mingle between the indoor banquet room, outdoor patio, outdoor tent and one-of-a kind Tiki Bar. The perfect setting for an outdoor ceremony or outdoor cocktail reception.